"Alpha allows for amazing development of comprehensive programs. It's incredible how quickly you can roll out a program. Because of Alpha's rapid development, we are able to compete against multi-million dollar companies and enhance our product faster than they can." When Alpha developer Steve Workings was approached by marine mammal care and facility management company Ocean Embassy, they had been using a Microsoft Access program for their dolphin for the last three years that was clearly not up to task. They had been dreaming about what the next incarnation of this software might look like—one that incorporated mobile, robust reporting and charting, and extensive data, long-term scientific data collection—and wanted to know if Alpha could be used to develop the right solution. Marine mammal care and facility management company Ocean Embassy had been using a Microsoft Access program for their dolphin care for the last three years that was clearly not up to task. The Company approached Alpha Anywhere developer Steve Workings to help solve the problem. The team at Ocean Embassy had been dreaming about what the next incarnation of this software might look like—one that incorporated mobile, robust reporting and charting, and extensive data, long-term scientific data collection. The Company approached Alpha Anywhere developer Steve Workings to help solve the problem. They and wanted to know if Alpha Anywhere could be used to develop the right solution. It turns out that the answer, in a big, big way, was "Yes!" After just six months of development, Workings had the software operating in a research and rescue operation, a small zoological facility, and its first major implementation in a large theme park. After just six months of development, Workings had the software operating in a research and rescue operation, a small zoological facility, and its first major implementation in a large theme park. 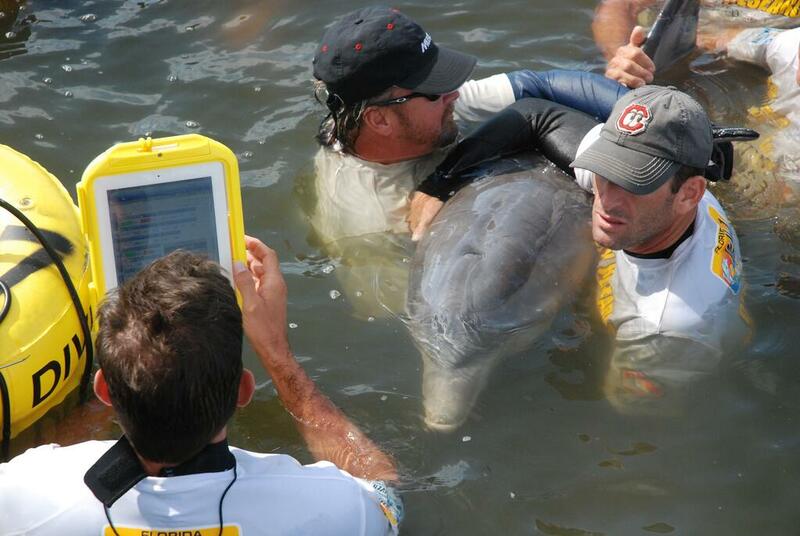 Using Alpha Anywhere, Workings has created what is on its way to becoming the standard software application for the marine mammal care industry. And OERCA won't be stopping at marine mammals either. It turns out that aquariums, aviaries, turtle care facilities and even most terrestrial zoos really don't have a comprehensive, all-in-one, easy-to-use, satisfactory software solution either. 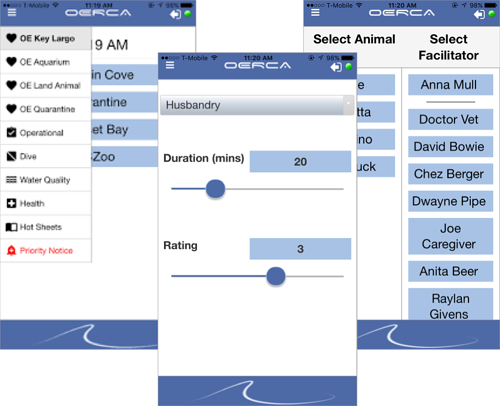 OERCA is on its way to becoming the standard software application for the marine mammal care industry.